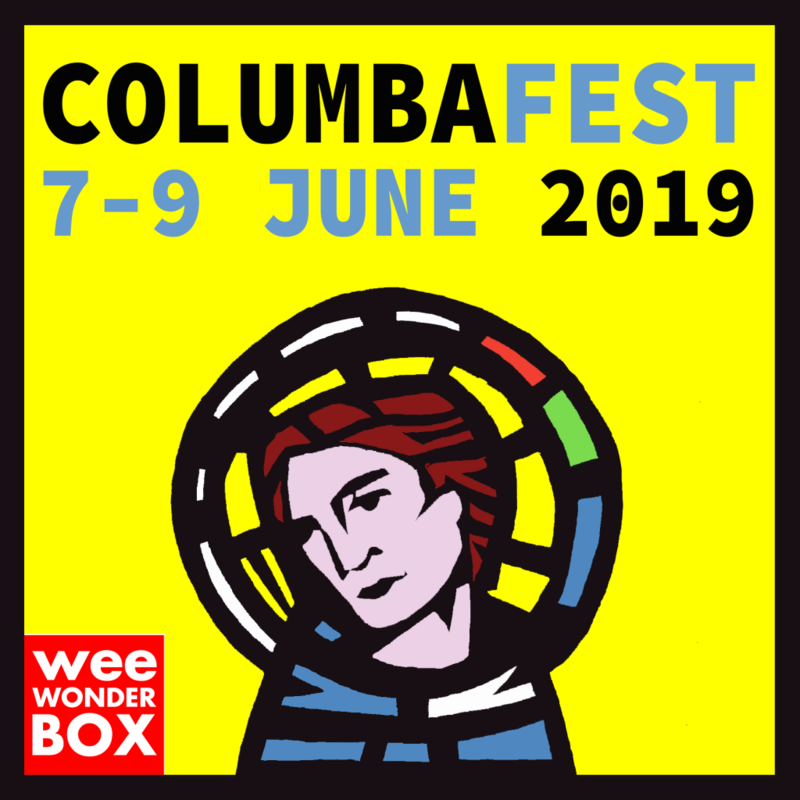 ColumbaFest, weeWONDERBOX’s flagship urban festival, returns to Glasgow on 7-9th June 2019. This year’s theme ‘Wandering + Wondering‘ invites us to consider the physical, spiritual and emotional journeys, voyages and pilgrimages we go on in life as we wrestle with faith, politics and art today. Inspired by the life of St Columba, current global events and a sense of adventure we are developing a diverse programme of talks, walks, music, art, discussion and worship. Keep an eye out for programme announcements and booking details coming soon … on our blog, and the weeWONDERBOX Facebook and Twitter and the ColumbaFest Instagram page for more info as it is released. And it’s always possible also to sign-up for our eNews here. The following tickets are currently on sale for the magnificent, third occurrence of ColumbaFest in 2019! For those wishing to move quickly, Early Bird weekend tickets are now available – at appropriately exceptional levels of saving. Do note though, that these are only available until 22nd April. Likewise, we are offering special discounted Early Bird Group weekend tickets. These will be available until 22nd April. All of the tickets above are full weekend passes for the entirety of the 7-9th June festival. Worth consideration, surely? Details of Day and part-Day tickets will be made available soon. Tickets will also available on the day and on the door, with a small surcharge. Other venues to be confirmed. Keep an eye out for programme announcements and booking details coming soon … on our blog, and the weeWONDERBOX Facebook and Twitter pages; the ColumbaFest Instagram page for more info as it is released. And you can sign up to the RSS Feed to receive notification of these direct to your email inbox. And there’ll be more updates in future eNews releases coming soon (to which you can sign-up here)! Don’t be left wondering, unduly!